Some wines you taste, almost mechanically, before jotting down a note and moving onto the next one. Most wines fall into this category, if we are honest. But every now and then, there are wines which disrupt your rhythm, which with a frisson of electricity, a firing of neurons, announce that Here Is Something Special. Winter 2016-17 was dry and sunny, conditions which continued into the warm 2017 spring. Unsurprisingly, the growing season got off to a very early start. However, summer was cooler and rainier, hence the above quote, chosen by Christian and Edouard Moueix, imploring the Easter sun to return. Budbreak happened in the Moueix vineyards on 28th March in Saint-Émilion and on the 29th in Pomerol. Spring 2017 was the third warmest since 1900, although with a rather drastic blip in the form of the severe frost of 27th-28th April. The resulting damage to large parts of the right bank of Bordeaux fortunately did not include the plateau of Saint-Émilion, whose elevation of 70 to 88 metres above sea level put it largely beyond the reach of the frost, the cold air hanging malevolently at lower altitudes. 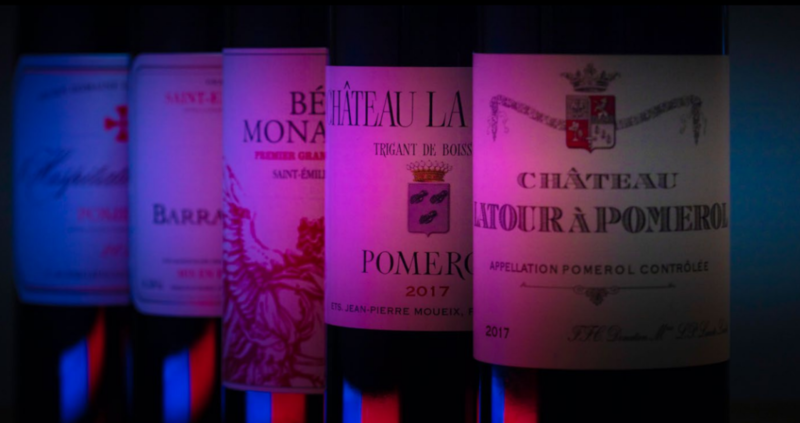 Pomerol’s lower-lying plateau, at 30 to 40 metres, was protected with, in Edouard Moueix’s words, “powerful anti-frost efforts”, which included lighting night-time fires between the vine rows to raise the temperature in the vineyards. These valiant measures were effective at Latour à Pomerol and Gazin, but less so at Certan de May, La Grave à Pomerol and Bourgneuf, with the latter losing 40% of its crop to frost. Flowering took place from 22nd to 29th May across the Moueix holdings. The summer was largely dry, with sporadic 30ºC+ heat spikes. 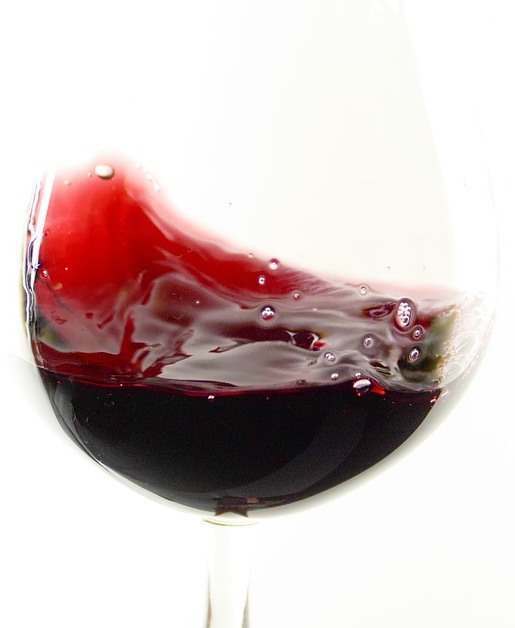 Véraison (colour change) occurred from 21st to 31st July in Pomerol and from 22nd July to 2nd August in Saint-Émilion. Early September saw, in Edouard’s words, some “welcome rain”, which enabled the tannins to soften and may have contributed to a lovely suppleness in the finished wines. Picking began on 8th September in Pomerol and 15th September in Saint-Émilion, ending on the 29th in Pomerol and on the 30th in Saint-Émilion. So ended a drier-than average year, in which the drought pressure was more acute than perhaps many realised. The year to 31st October 2017 saw 636mm rainfall in Saint-Émilion and just 557mm in Pomerol, versus a long-term average in Bordeaux of 944mm. The upshot of these factors was a need for nimble vineyard management. This was not a year in which you could simply sit back and let your grapes grow themselves. 2017 was a vigneron’s vintage, in which those who were prepared for and able to provide intensive husbandry to the vines won out. The vineyard programme included bud-thinning, removal of the third grape cluster, green harvesting (crop thinning) and leaf plucking, on both sides of the vines. The aim of these was to reduce the final yield and aerate the remaining bunches. In a vintage of mixed outcomes due to the frost, the Moueix 2017s contain some of the absolute stand-outs. Of course, we would say that, but the evidence is in the glass (and for what it’s worth, the critics don’t disagree…) Being Moueix wines, they are of course too polite to be exuberant or flamboyant, but there is a joyfulness and immediacy, a sweetness and succulence of fruit which defies the reputation of the vintage. The tannins are incredibly fine, complementing that all-important textural sense of terroir and resulting in supreme definition and poise. View the full Ets. 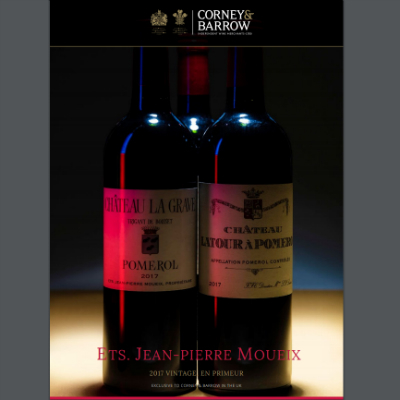 Jean-Pierre Moueix offer online now.